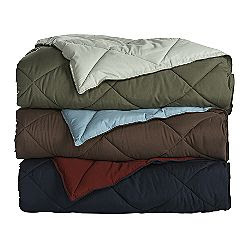 Sears has marked down these Microfiber Down Alternative Comforters to only $19.99 each — a reduction of 67%!! Standard shipping will run around $8 – $10.00. The colors and sizes are dwindling fast at this price, so I won’t be surprised if this deal goes quickly. Go through Shop at Home and earn 5% cash back or Ebates to earn 4% back. « Don’t Forget To Enter The Giveaways!